Alginate Dressing BUY Calcium Alginate Dressing, Alginate Wound Dressing, 49200000, 49210000, 49220000, 49230000. 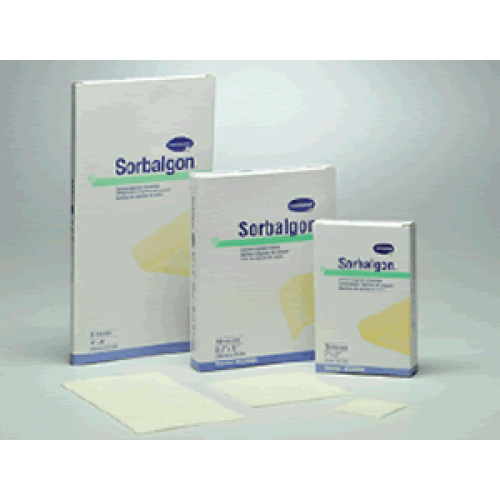 Sorbalgon, manufactured by Hartmann USA, is an alginate wound dressing. The purpose of a Calcium Alginate Dressing is to fill a wound that is non-healing, partial, or full-thickness. These Alginate Wound Dressings can absorb up to fourteen times its mass. Alginate dressings work perfect for moderately to heavily exuding wounds. 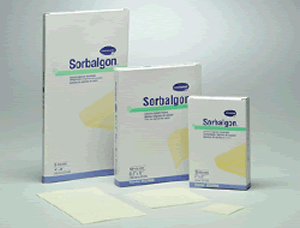 Unlike other alginates, Sorbalgon is designed to retain its shape after use. This feature allows healthcare workers to easily remove dressings. These wound care dressings are latex free, so that they are suitable for latex sensitive individuals. Retains its shape for easier removal. Will the sorbalgon dressing stick to an open wound, such as a skinned off area? Is it adhesive to a wound? It will not adhere to the wound. You will need a secondary source (medical tape, etc.) in order to hold it in place.